How to watch Bride For Rent (2014) on Netflix Canada! 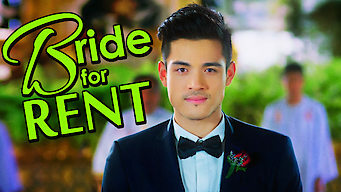 Yes, Bride For Rent is now available on Canadian Netflix. It arrived for online streaming on March 8, 2019. We'll keep checking Netflix Canada for Bride For Rent, and this page will be updated with any changes. Rocco needs to hire a bride so he can access his trust fund. Rocky desperately needs a job. Their marriage starts out fake, but ends up as much more. They're entering into this fake marriage for purely financial reasons -- but love has a funny way of taking over.